Summer is a time for sunshine, pools and BBQ. Chilled white wines are great, but the red wine of summer is Zinfandel. Ranging from complex and food friendly, to high alcohol hedonistic wines ripe enough to be their own meal. California’s long and colorful history with Zinfandel is engaging and best told by the vintners in the Napa Valley. Freemark Abbey’s history dates back to 1886. 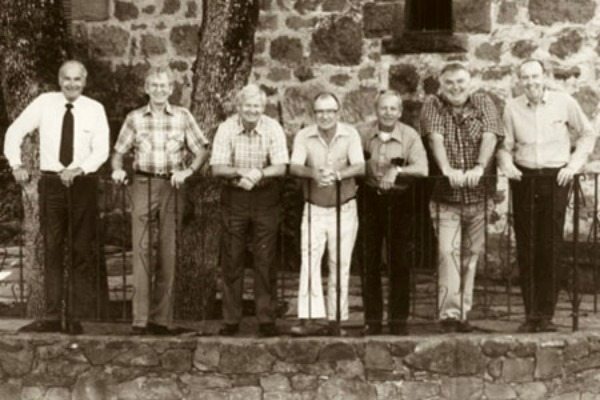 The current name was created in 1939 by the then ownership’s combined names to make Freemark Abbey, which has never been run by monks! More recently, seven partners revitalized the winery in 1967, nicknaming it the ‘University of Freemark’ as they produced many significant winemakers and innovations. The old winery put itself in the history books again by taking part in the Judgment of Paris. Freemark Abbey was the only winery to show both a Chardonnay and a Cabernet Sauvignon in the upset tasting that shocked the world in 1976. Freemark Abbey is fortunate to have had Ted Edwards as winemaker since 1985. He has a creative approach and sheer strength of experience in the Napa Valley. The 2012 Mt. Veeder Zinfandel is a great example Napa Zinfandel. Nuanced with cinnamon and clove, the oak integration seamlessly compliments the berry flavors. Structured by balanced acidity and soft tannins, the fruit lingers for a long finish. Reflecting its high altitude and sunny, but still cool vineyard sight on Mt. Veeder, it is a food friendly and terroir driven wine. Originally constructed as the Larkmead Winery in 1884, Frank Family Winery has so much history that it appears on the National Register of Historical Places. Frank Family has become regarded for its Reserve Cabernet Sauvignon, widely acclaimed by critics. The Zinfandel program is also dedicated to quality, and exhibits the special place it is grown. Winemaker Todd Graff hones in on the particular Napa Valley sites where Zinfandel truly shines. Frank Family Vineyard’s 2012 Napa Valley Zinfandel is scarlet in color and delivers a mixing of red and black fruit with hallmark white pepper and a herbaceous charm. Todd draws on an area long known for zin for a reserve wine. His 2012 Chiles Valley Reserve is rich and is layered by black cherry, smokey clove, pecans, creamy mocha and a generous finish. Longtime family owned and operated Robert Biale Vineyards has created a Zinfandel that speaks to its California history. His father, Aldo Biale, faced a unique challenge selling his wine, Prohibition. Knowing the federal government had tapped phone lines in Napa, Aldo simply instructed his neighbors to call his Zinfandel “Black Chicken’‘. The name stuck. In recent times Zinfandel fans covet this wine like a cult wine. 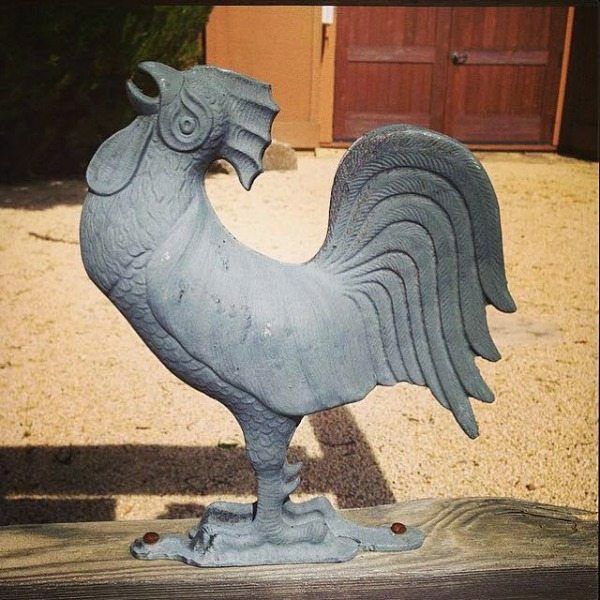 In the Biale tasting room, members of the Black Chicken Society often comment that this was the Zinfandel that defined the rich, jammy, full blown style. There is so much flavor and texture bursting through this wine, it is a meal in a glass. John Williams and his Frog’s Leap Winery have created a Zinfandel from the other side of the coin. The high acid, low alcohol version is the cornerstone of Frog’s Leap. Owner and winemaker John is quoted as saying “No wine is more beloved, more treasured, more celebrated or more often drank at Frog’s Leap than Zinfandel. We often even have it in our coffee cups in the morning (we call it ‘red coffee’! ).” The wine never breaches fourteen percent alcohol and makes great company on every occasion. It pairs well with barbecue, burgers, friends, family, and warm sunny days. There is a lot of fine Zinfandel in the Napa Valley, and the range it is produced in is as wide as it is delicious. We can “Make it Happen” and show you this California classic region and grape in style while you relax and soak up the sun this summer.